I’m talking about bonds again this week, but this time, I wanted to talk about the bond between siblings. I know a lot of people who are really close to their siblings. But I’ve always been intrigued about the bond that is shared between Identical twins. Stories where one is hurt and the other feels the pain. In This Heart of Mine, Matt and Eric are identical twins. When Matt’s brother Eric dies of an apparent suicide, Matt knows in his heart there’s a lot more to it. He is certain his brother is trying to tell him something, even from the grave. The bond between twins is unique on many levels. Twins that grow up in the same environment are going to have a strong bond no matter what. Science has shown that babies start learning even inside the womb and start a catalog of smells, sounds, and physical feelings even before birth. Identical twins experience identical pregnancies, and it’s not unusual for identical twins to share a psychic connection. 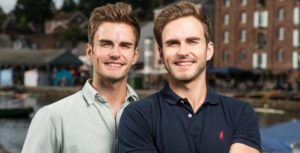 Studies have shown that one in five pairs of identical twin claim to have experienced this connection. There have even been reports of identical twins having moments where one will experience the same feelings (physical and/or mental) as the other, even from separate continents. So, when Matt suddenly finds himself without his brother, his best friend, he feels like he’s missing a part of himself. He begins having dreams about Eric, and he knows Eric wants to tell him what really happened to him. Then when he discovers Leah, the recipient of Eric’s heart, is having the same dreams about Eric, he’s even more certain of this. Together, Leah and Matt set out to find the truth—and maybe heal each other along the way. But both Matt and Leah have to wonder if what they feel for each other is just because of the connection they both have to Eric’s heart. It’s a story that will break your heart and then heal it. Do you have a sibling that you are close to? What kind of bond do you have? 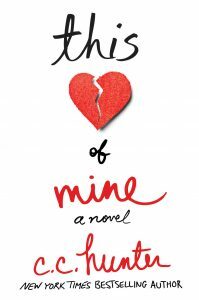 This Heart of Mine releases on Feb 27th, but you can pre-order it now at Amazon, Barnes & Noble, Books-A-Million, Powell’s, Indiebound and iBooks. Where Can You Meet Me? Feb. 26, 2018, I’ll be signing THIS HEART OF MINE at Blue Willow Bookshop, 14532 Memorial Dr., Houston, TX at 6:30 PM. I’m giving away a basket with a journal, a bracelet, and a deck of cards. The first 20 people who buy a book will get a tote. I’ll also have door prizes! For more info go to http://www.bluewillowbookshop.com/. Feb. 24, 2018, Nikki Lofton and I are teaching writing workshops at Carl & Mary Welhausen Library in Yokum, TX. It’s FREE & OPEN TO THE PUBLIC, Pre-registration Suggested (361) 293-5001. March 5, 2018, I’ll be celebrating the release of THIS HEART OF MINE and signing at Interabang Book Store in Dallas, Texas, at 7:00 PM. I’m giving away a basket with a journal, a bracelet, and a deck of cards. The first 20 people who buy a book will get a tote. For more info go to https://www.interabangbooks.com/event/heart-mine. March 22, 2018, I’ll be at Katy Budget Books in Katy, TX with fellow YA author Farrah Penn. I’m giving away a basket with a journal, a bracelet, and a deck of cards. The first 20 people who buy a book will get a tote. For more info go to http://www.katybooks.com/. April 5, 2018, I’ll be in Dallas at the Texas Library Association Conference. If you’re a librarian, I hope I’ll see you there! For more info go to http://www.txla.org/annual-conference. April 21, 2018, I’ll be teaching at the Georgia RWA, 9:00 AM to 4:00 PM. Join me for my Build a Character, Build a Book Workshop. You must pre-register by April 14th. For more info go to http://www.georgiaromancewriters.org/meetings/april-meeting/. June 9, 2018, I’ll be teaching a workshop on how to put more emotion on the page at the West Houston RWA. For more info and to register go to http://www.whrwa.com/. July 18-21, 2018, I’m looking forward to the RWA National Conference in Denver, Colorado. It’s great conference for writers, and there’s always a huge book signing (500+ authors!) OPEN TO THE PUBLIC. For more info go to https://www.rwa.org/events. November 3, 2018, I’ll be in Austin, Texas at The Origin Event along with a host of other authors. Tickets for this event are on sale now. Don’t wait to buy your tickets, this sells out! For more info go to http://theoriginevent.com/introducing-the-origin-event-2018/.